The metal stamping is a process of punching, making three dimensional shapes or size or designs in the metal. Precision metal stamping machines produce a high intensity of energy to engrave dies and forms onto the surface substance. 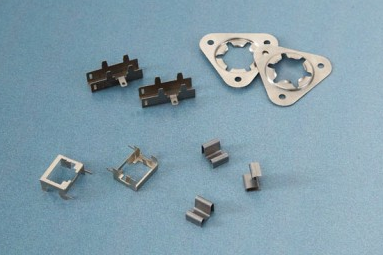 All the stamping parts are manufactured with high tolerance and in high quantity. One of the most common high precision stamping part is metal spring. These metal springs can be in different products such as button battery, antenna of the mobile, in cigarette lighter, electrical conductivity product, heat sink and car chargers. * Metal stamping company provides wide range in stamping services including high speed precision stamping, progressive die stamping, metal precision stamping, compound die stamping and deep drawn stamping. * Since the company uses latest technology in high precision stamping they can make custom designs which would be more suitable for lamination. * All the labors are highly experienced and skilled enough to deliver high quality products and high quality service to the customer. * The company mainly focus on full satisfaction of customer so often they do premium service in delivering the product. * The customers are free to contact the company professional experts at any time to enquire about the service. * The company uses high quality equipment to avoid all kind of delivery issues and productivity issues. Apart from the above points the company professional experts build their own effective designs in different styles of metal stampings for their clients. More over the company offers high precision stamping at reasonable price when compared to all other companies.